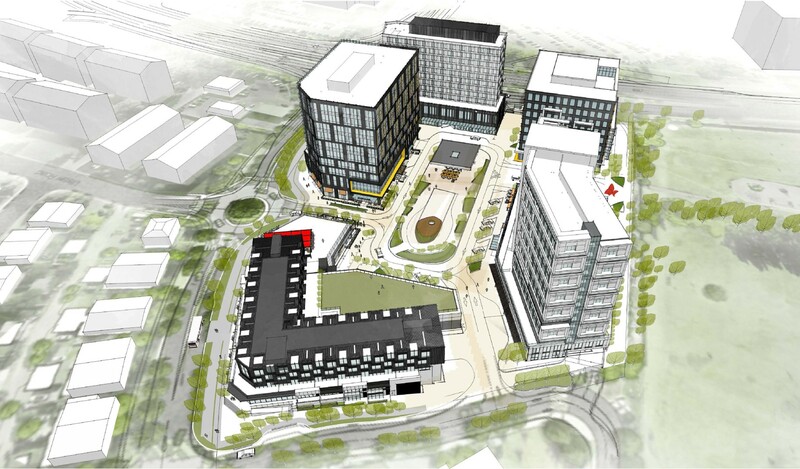 This mixed-use redevelopment will create an urban oasis amidst the more traditionally suburban context of Calgary’s northwest community of University Heights. 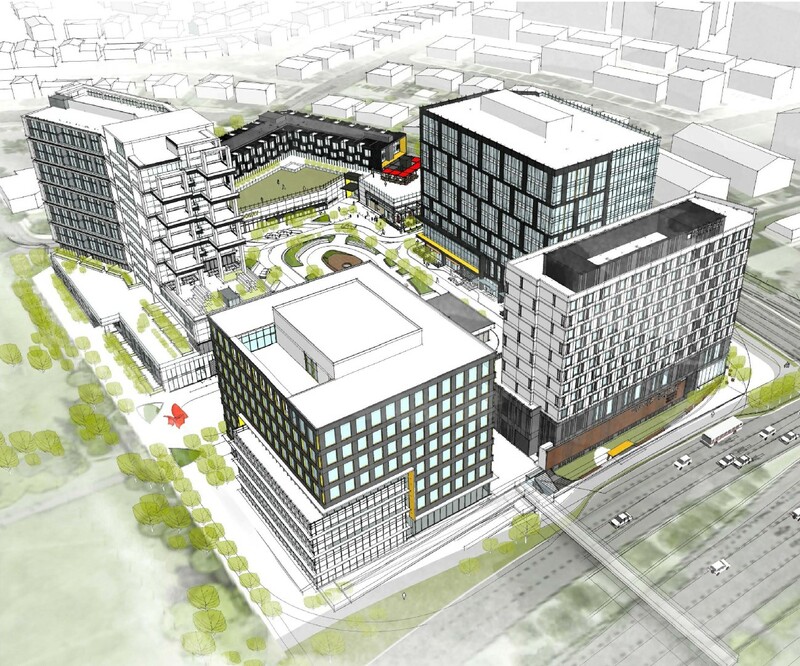 The project will transform the site into 815,000 square feet of residential, retail, hotel and commercial spaces along with public space amenities for recreation and daily life. Encompassing five buildings ranging in height from one to fourteen stories, the community will be supported on a contiguous parkade below grade that will accommodate over 1,500 cars. The site will include retail below office or residential, stand-alone residential, stand-alone hospitality, and a number of amenity spaces throughout a permeable street level to foster a village centre environment. Challenge: The proposed site program involved multiple buildings supported on a common, contiguous parking structure. Solution: To support multiple buildings on the common parking structure, Entuitive engaged in early design coordination to investigate simplifying the main floor concrete slab geometry and minimize transfer requirements by aligning below- and above-grade column locations to the greatest extent possible. Challenge: The client for this complex intends to develop the site and retain ownership indefinitely. As such, they have high expectations for not only the architectural aesthetics, but also long term energy performance and durability of the various building envelope systems. Solution: Entuitive has been retained by the design team and client to provide comprehensive design assistance through all phases of the design (schematic, development permit, design development and construction documents) in order to assist with the selection of the building envelope systems and development of the pertinent details and specifications. Challenge: Existing retail operations need to be maintained throughout the duration of the site build-out. Solution: We proposed a phased development that allowed the client to preserve existing retail through the early development phases of other site areas to maximize revenue throughout construction.